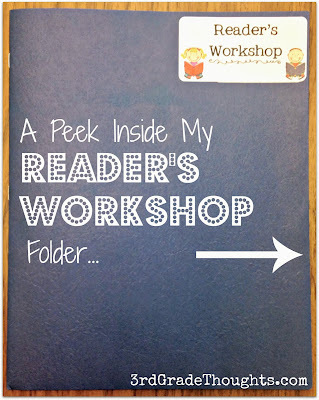 A Peek Inside My Reader's Workshop Folder + Reading Log Freebie! 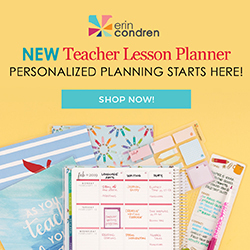 The set-up is basically the same as it's always been (read more about how I use Daily 5 in my classroom HERE) and I love using this folder to help keep track of it all. Each left-hand pocket is labeled for Teacher Time. This keeps reading work, passages we're working on, recording sheets, Scholastic News magazines, and more. It makes it (somewhat) easy to keep it in a place where we can access it every day during Teacher Time. In the middle, you will find their in-class Reading Log. I call it their "Read to Self Log" because I wanted to stress the importance of choosing Just-Right books and staying accountable during Read to Self time. When it comes time to take their AR Quiz, I have them bring this blue folder to our computers and use the quiz number to look up the book and start the quiz. For more on how I track AR Progress (this year with bookmarks) click HERE for a post & freebie. 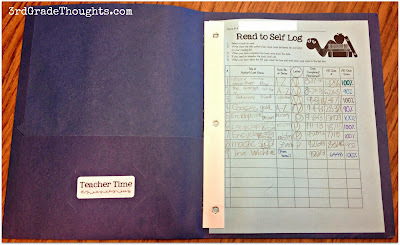 This Read to Self Log is copied front-back so they can write all of their books down throughout the year and keep a record going so they, too, can see their progress and accomplishments as the year progresses. When one sheet is filled, I will add a new one to the back and they can keep recording. 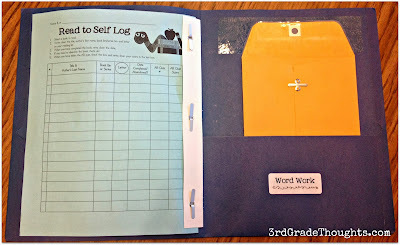 In the Word Work section, students keep their Word Work Bingo and center recording sheets. I took them out of this folder to show you what is in the very back: A pocket! This has been a lifesaver for me and I wish I had thought about putting one of these in every folder! These are super-cheap, small mailers I picked up at Walmart (I think it was about $1-$2 for a pack of 25). All I did was put some clear packing tape across the top and stick it inside of the back pocket. Now, when kids are working on cutting and gluing from my Word Work Centers, they have a place to put the extra pieces for next time. LOVE! 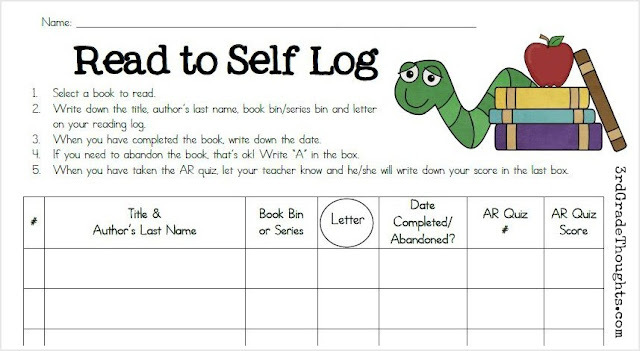 If you're interested in picking up the Read to Self Log Freebie, it's available as a feeebie HERE. Enjoy! Ohhh...I LOVE this!!! Very organized. Thanks for sharing. I keep trying different things each year and haven't quite got one down that I really like yet. I love the pocket in the back-- how perfect! I'm glad I'm not the only one who has my kids write in even the books they abandon... sometimes I found that to be more telling than the books they finished! 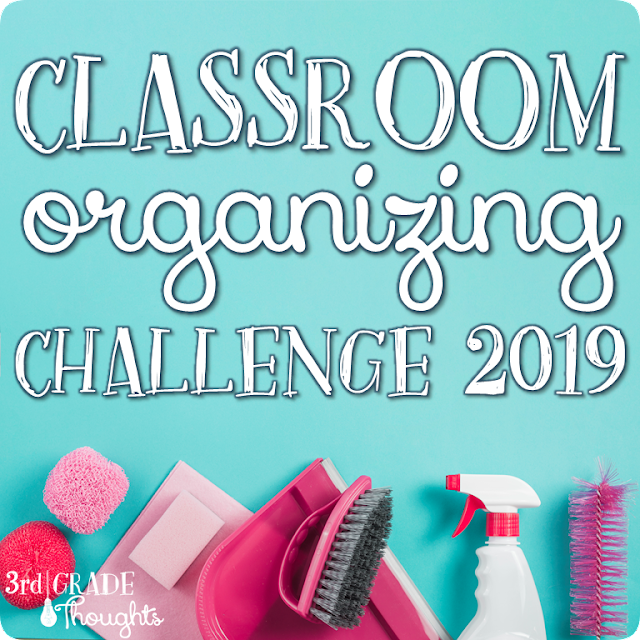 Thanks for posting about how you keep it all organized! :) This was really helpful and gave me lots of ideas! Hi Stephanie...I moved from 4th to 3rd this year. 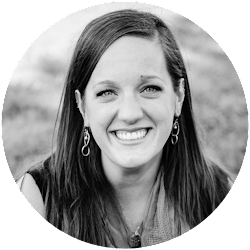 I am so thankful for everything you are sharing and glad I signed up for your newsletter. I'm trying to figure out how to balance everything in the time I have and the folder set up was a great tip. Have an amazing year!